These Jumbo Sports Bags are on sale for $18.99 (Retail $26.99). 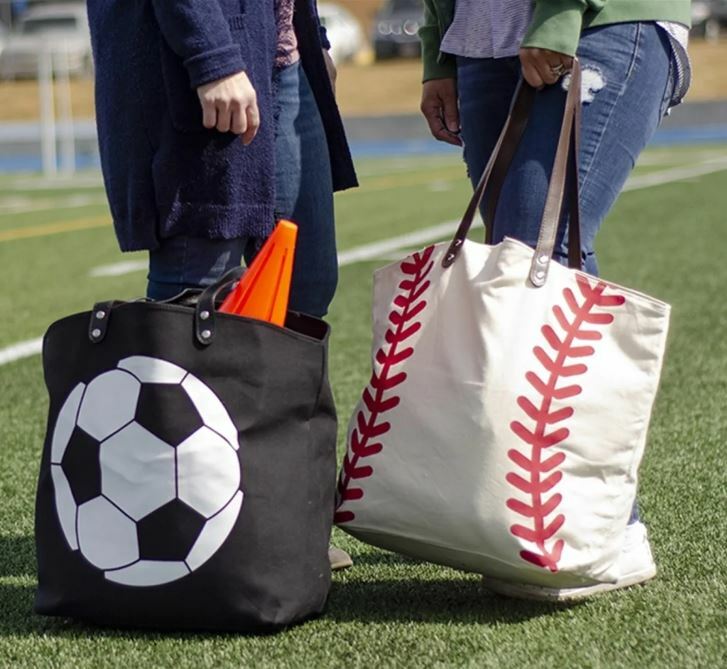 These fun sports bags will make hauling all those blankets, snacks and gear to your child's sports game so much easier. Made from a durable canvas, with sturdy straps, these bags will go with you everywhere and hold everything you need to survive those spring, summer and fall games! Bags are made from a sturdy canvas fabric and are lined. They also feature a small inner zipper pocket and a magnetic closure. Bags measure approximately 18×21.